Chelsea boss Antonio Conte recently praised his side’s defensive solidity in recent games and rightly so.The Blues have been putting out improved performance at the back recently and one of the reasons for that is Andreas Christensen. The Dane has been very impressed for Chelsea since coming into the starting XI to replace the injured David Luiz. He has been composed at the back which has ensured the Premier League Champions did not miss their charismatic Brazilian. His performances have won him a lot of admirers and according to latest reports, Spanish giants Barcelona are one of such admirers. The La liga table toppers are known to be looking for defensive reinforcements and are closely monitoring the 21-year old and have been long term admirers of the Denmark international but have been hugely impressed with his growth this season. Christensen has two and a half years left on his current contract with the London club – who are believed to be set to offer him a new mega deal to keep him a the club and put to rest any rumour of an exit to bed. 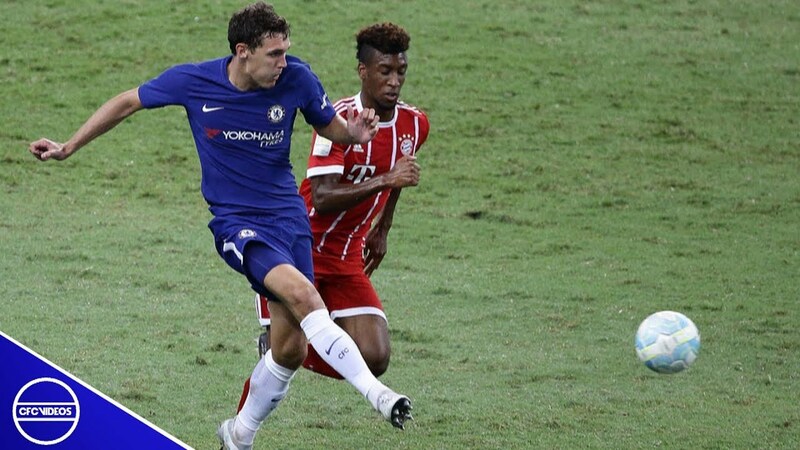 Christensen joined Chelsea from Brondy in 2013 and he spent the last two seasons on loan with Borussia Monchengladbach, a move that was hugely beneficial for his development, as is evident from his performances this season.